Writing down your targets and creating a to-do list is the first step towards getting to the bottom of it and finishing your work. But what comes next? If planning makes you feel productive (and with good reason), you will not see results until you complete your tasks. Keep reading to discover how I work on my motivation and discipline so that I follow through on the tasks and projects I set for myself. Taking a step back may seem counterproductive, but is actually one of the be the best ways to kick-start your daily productivity. Better prioritization. 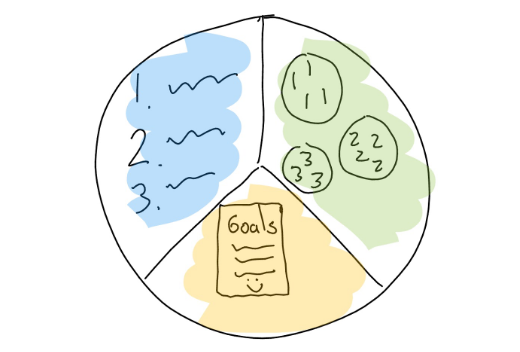 Prioritization should be at the very heart of your productivity strategy. There are more important tasks, and by recognizing and starting with them, you will be encouraged to get them done. Batching tasks together. Even if they belong to different parts of the project, you will find that batching similar tasks together (for example, editing articles) will motivate you to get them all done. Keeping your goals in sight. If you keep reminding yourself of your end goal — aka why you are carrying out a boring task at the moment — you will realize that you don’t care so much about how boring work can get, but only about the fact that it is one more step towards where you want to be. If you are in control of your week, you will have a better chance of getting things done. Try to get into the habit of carrying out a weekly review. What is giving you the best results? What are you finding hard to complete? Can you do less of the things you repeatedly find yourself procrastinating? Could you delegate or remove them entirely? Maybe it was that “boring” task that you did earlier…it supports your goals, but could you offload it and work on something more fulfilling? Are the things you spend time on working towards your goals? The weekly review is crucial because it works well with the fact that productivity is a long-term, evolving process. You will not get everything right straight away. You will need to make adjustments and tailor productivity methods to your specific circumstances. By forcing yourself to take 20 or 30 minutes every week to look back on your processes, you will be quick in realizing what needs to change and become more effective. And that 20 to 30 minutes per week gives you a huge return on investment over time. You’ll work better, get more done, and be spending time on the tasks and projects that you most enjoy. Time blocks are a tried and tested productivity strategy. Alternating manageable chunks of deep-focus work with short breaks even has a name: the Pomodoro technique. If thinking of your long-term goals boosts your motivation, time blocking tricks you into discipline. Most people opt for blocks of 20-30 minutes of hard work before rewarding themselves with a break, but you can and should customize your blocks thinking of the type of work you are going to perform. To make the best of time blocking, minimize distractions as you focus and get out of your work area for your breaks — take a walk, stretch, move around.